Safety first! Make sure you and your passengers are ok, and if any of you are not, get the right medical care immediately. If you feel any pain at all, go to the emergency room to get checked out. This is so even if you believe it is temporary or you will “get over it” or “be alright”. 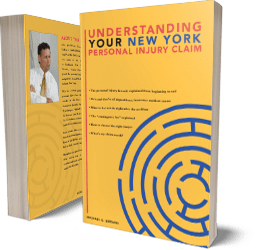 Our Syracuse tractor trailer and truck accident lawyers have seen this scenario play out time and time again: truck accident victim thinks he’ll be ok, even though he has some pain, and fails to get immediate treatment. A month later, when the pain is still there, they finally go to get checked out and find the damage is more serious than expected. But now the truck’s insurance company argues that you must have injured yourself sometime after the accident, not during the accident, because there is no report of pain or treatment right after the accident. Don’t let that happen to you! Document your injury just in case it turns out to be significant. There are several terrific emergency rooms in the Syracuse area where our tractor trailer or truck accident lawyers themselves would willingly go for top-notch medical examinations and treatment. Remember, you are not God. You don’t know what damage is inside you. The shock and scare of the collision, the adrenaline, and the relief of not being killed makes you minimize your pain or ignore it. You might not be aware of the extent of your injuries. At the ER they will take x-rays and do other exams. They will make sure you have no internal bleeding, or a traumatic head injury, broken bones, herniated discs, or organ damage. Don’t delay, however, in calling law enforcement (if no one else has). If there is any damage beyond $2,000 dollars to either vehicle, you should stay put. Don’t move your vehicle unless your current position is causing a traffic danger or hazard. If you must move the vehicles, take pictures with your phone before you do (if you can). You want law enforcement to be able to reconstruct how the accident happened based in part on the position of the vehicles. If you have not already contacted law enforcement when you call our Syracuse tractor trailer and truck accident attorneys, we will call them for you. But sooner is better. If any witnesses are about to leave the scene, be sure to get their names and contact information. Have them text it to you or right it on a piece of paper. Or at least their license plate number. You can use your smartphone or camera to take photographs of the vehicles, the accident scene, the current road conditions, as well as the license plates of those who might be witnesses. You or a friend should take as many pictures as possible because they could be crucial in proving your claim and refuting some of the defenses that the at-fault truck driver might dream up. For some people it is just natural to apologize when any unexpected “collision” takes place. For example, if someone bumps into you in a hallway because he is not looking where he is going, you might say “sorry”, just to be nice, even though it was not your fault. But you cannot and should not do this if a truck or tractor trailer causes a collision with you. Even if you think it was your fault, you should not do that. 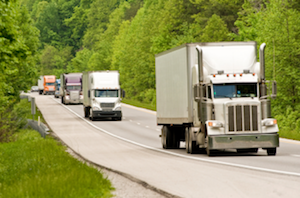 The confusion of the collision may make you think it was all your fault when in fact it was at least partially the fault of the truck or tractor trailer driver. If you apologize, the driver will remember this, and will tell his insurance carrier, and your nice little apology is likely to come back to haunt you when your lawyer tries to settle your case or presents the case to a jury. “He said he was sorry, so he admitted it was his fault”. Unless you happen to be a lawyer, you are not going to know the long-term consequences of signing anything that the insurance companies give you after the accident. Before you sign anything, call our tractor trailer and truck accident attorneys in Syracuse or Auburn New York for a free consultation.